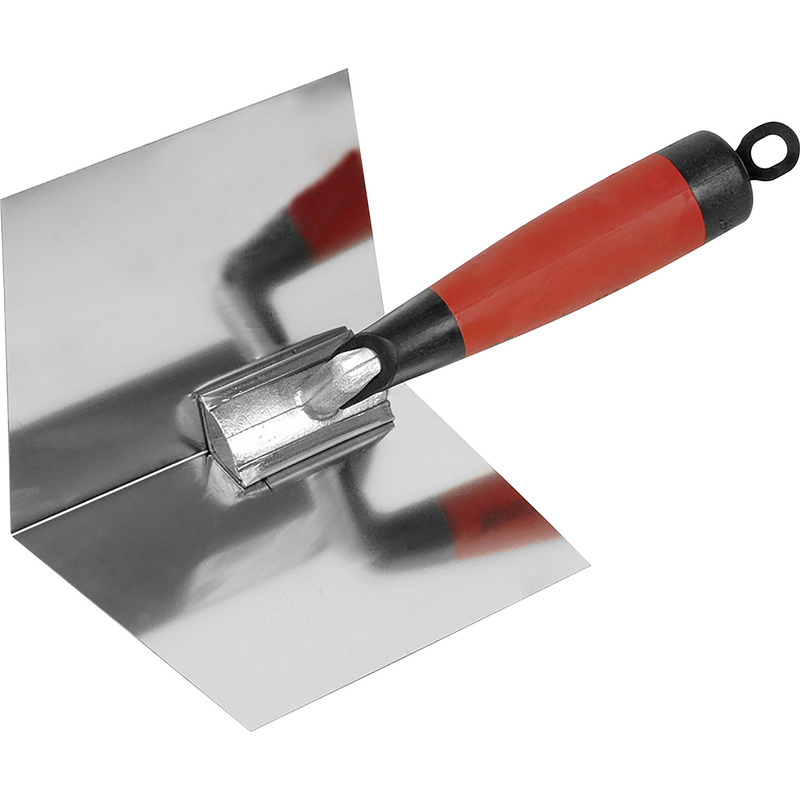 Lightweight 1 piece corner trowel with flexible stainless steel blade. Flexible design makes this ideal for work with plasterboard walls. Soft grip handle. Marshalltown Corner Trowel Inside Corner is rated 4.9 out of 5 by 7. Rated 5 out of 5 by Malc_b from Excellent tool I bought this for taping and filling corners and it is just the tool for the job. The blades are stainless steel and springy. It makes easy work of corner finishing. Rated 5 out of 5 by M Turner Plastering from Superb trowel My old trowel had had its day so needed a new one. With so many now on the market I thought long and hard about my choice. Glad I went with Marshalltown again. Superb trowel, light and easy to use. Rated 4 out of 5 by Bluedodge27 from Good tool A good quality piece of kit. Well made and robust. The price was OK too.